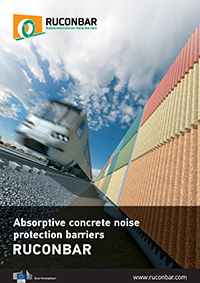 RUCONBAR (Rubberised Concrete Noise Barriers) is a project under the umbrella of the Eco-Innovation initiative and Executive Agency for Competitiveness and Innovation Framework Programme (CIP). Benefits: RUCONBAR can help reduce the gap between the EU members and official & potential EU candidates through noise mitigation and waste management. The project relies on a SME for recycling of waste tyres and a SME for production of concrete elements. The aim of the project is to develop production line capable of producing RUCONBAR at desired and constant market quality and to develop market strategy for the introduction of this innovative product. In order to ensure high visibility of the project results, products first application will be in Zoological Garden of Zagreb: it will replace the inadequate fence between ZOO and Maksimirska Street, which is burdened with heavy traffic.